A fully equipped Ocean going sailing yacht which carries all the current safety equipment, a full range of navigation instruments in addition to such luxury amenities as cushioned cockpit, stereo system with XM radio and cd player, complete galley and refrigeration, comfortable and spacious bathroom, bimini and dodger to keep you protected from the sun and wind, and a fun and entertaining Captain to make your trip a memorable one! 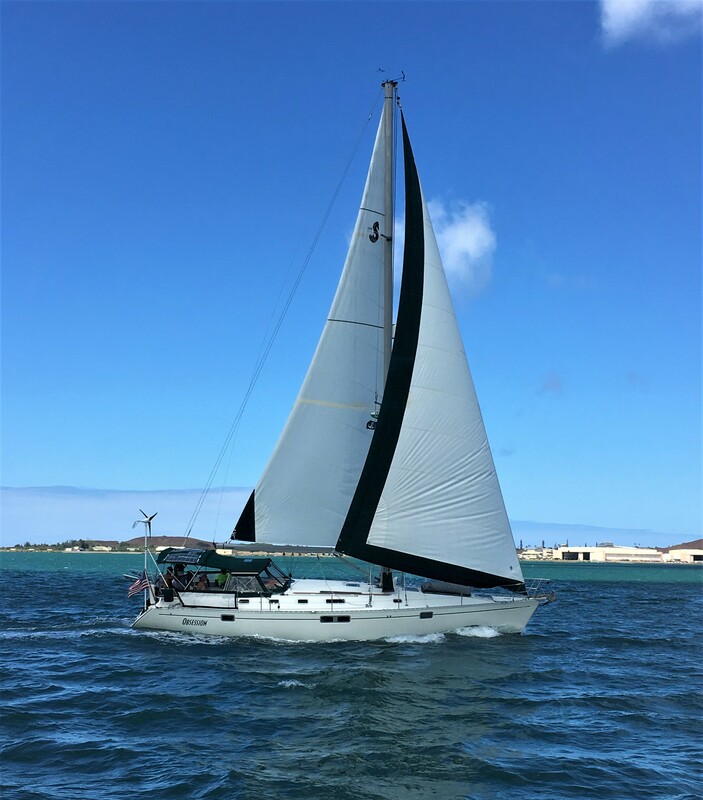 The Beneteau 440 Oceanis provides privacy for 2 couples or a family. 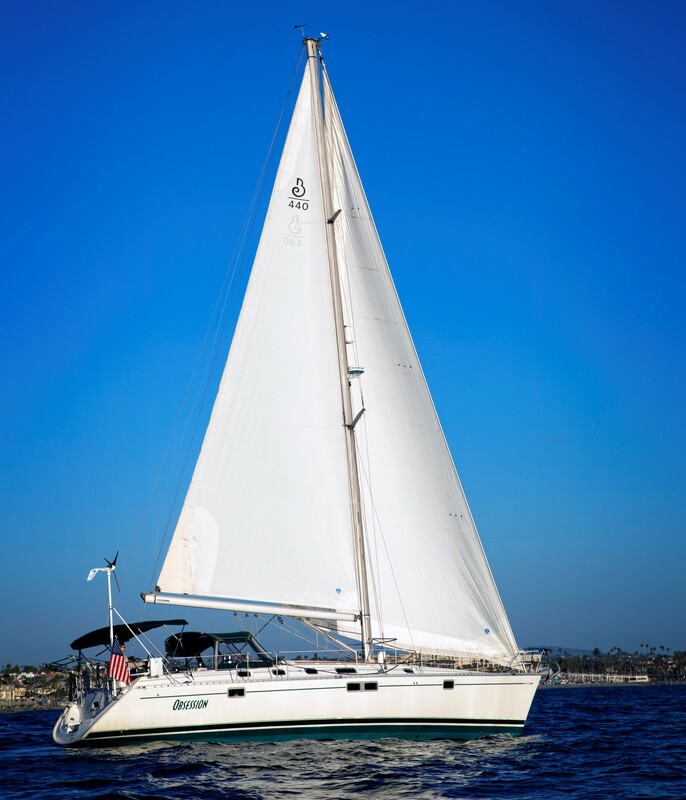 There is an aft cabin with a double berth that is entered from the port side beside the companionway. In addition to the sink/hanging locker, a full head is available. The galley is large with deep double sinks and a 3 burner stove with an oven and an eight cubic foot icebox. Forward of the galley is the main salon with two setee-berths and a folding table. The second head is forward. There is hot and cold pressure in the galley and both head areas. A teak door gives privacy to the forward cabin with it's double berth and hanging locker. Light and ventilation are provided by two translucent hatches, one over the foredeck and one in the main salon. There are four fixed and eight opening ports and a dorade vent over the galley area. The short cockpit, thus longer and roomier cabin space, pegs this design as an offshore cruiser. 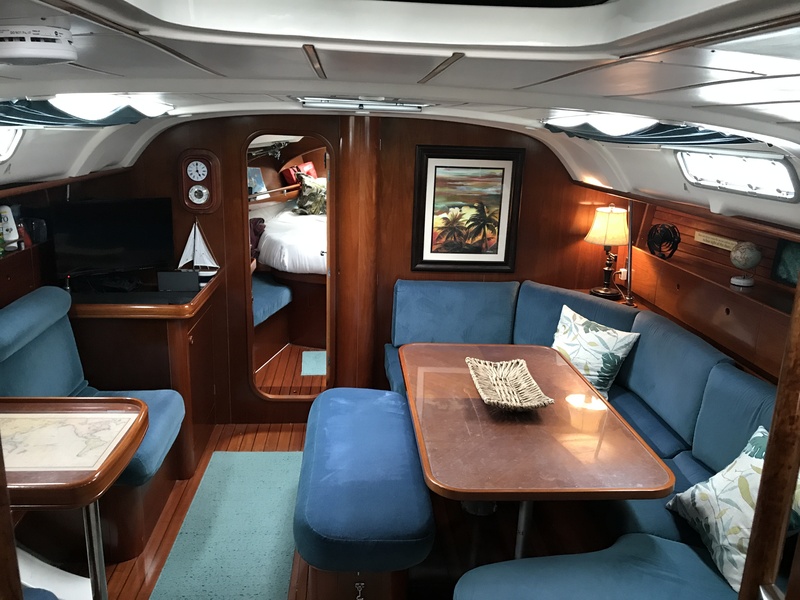 Another thing that points this design as a good offshore cruising design is the fact that the v-berth area can be completely isolated from the rest of the boat allowing a crew member, fresh off watch, to unroll their sleeping bag on the v-berth and grab a couple hour nap. Everyone else on the boat has full access to everything, including the head. The crew member, sleeping in the v-berth is pretty well isolated from the noise of the rest of the crew. Even though the designer pointed this boat to an offshore cruiser, that fact doesn't hurt it for most day sailing. Draft = 6' 8" or 5' 6"
Main = 303sg.ft., 100% foretriangle = 417sq.ft. Main = 326.6sg.ft., 100% foretriangle = 450sq.ft. 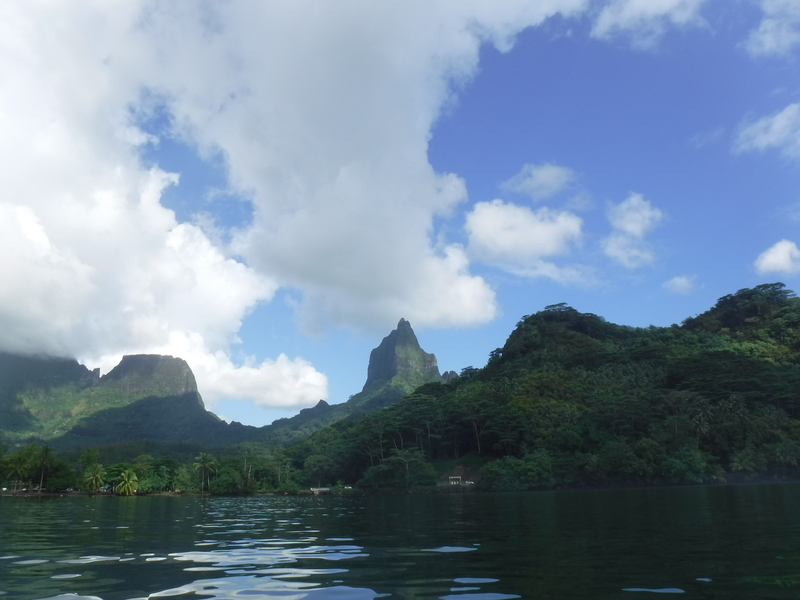 Pacific Coast Sail Charters© 2013. All rights reserved.